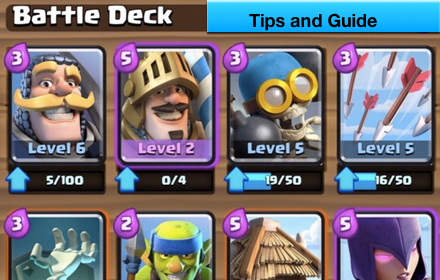 You can use Royal Clash battle deck guide to help you learn more about each card. You will learn about each card strength and weakness. You can also study how to use each card for your advantage. The application will list all cards and list all the statistic about each level. You will learn all the tips and strategy how to win this games. We will keep update all the latest cards and teach you the newest tips and trip on how to increase your odd of winning in this games.